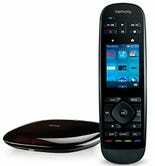 The Logitech Harmony Ultimate has just about every feature you could ever ask for in a universal remote, and then some, and Amazon’s offering it up for an all-time low $140 today, about $80-$100 less than usual. The Harmony Ultimate can control 15 of your favorite devices (from a database of 270,000), including ones hiding behind cabinet doors. Its touchscreen gives you quick access to your favorite settings, and it can even control smart home devices like your Philips Hue lights, meaning you can create a “Movie” mode that turns on your TV and Blu-ray player, switches your TV to the right input, and dims the lights, all with one push of a button. The sneaky-great reason to buy this though is the included Harmony Hub. The hub is the thing that actually controls all of your devices, and it doesn’t just work with your remote: It works with your smartphone and Alexa too. That means if you can’t find the remote, or can’t be bothered to get off the couch, you can still control your TV with just your voice. The hub by itself usually sells for about $90, so this bundle adds a powerful remote for only $50. Happy Friday! 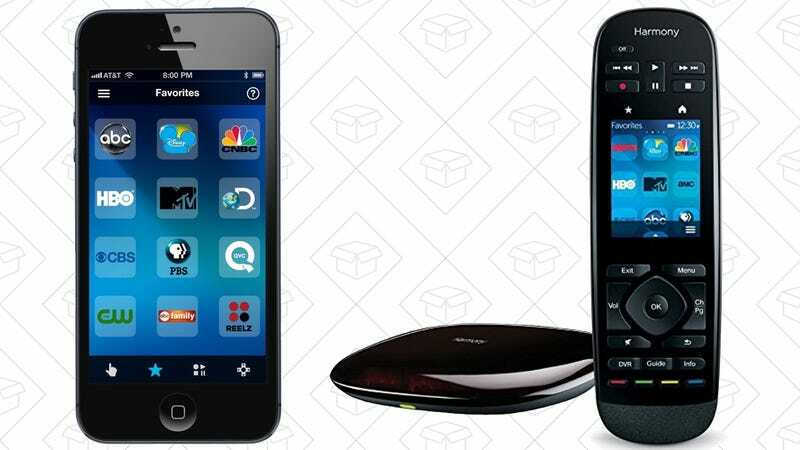 Find deals on a universal remote, a saw Gold Box, a smart scale and much more.